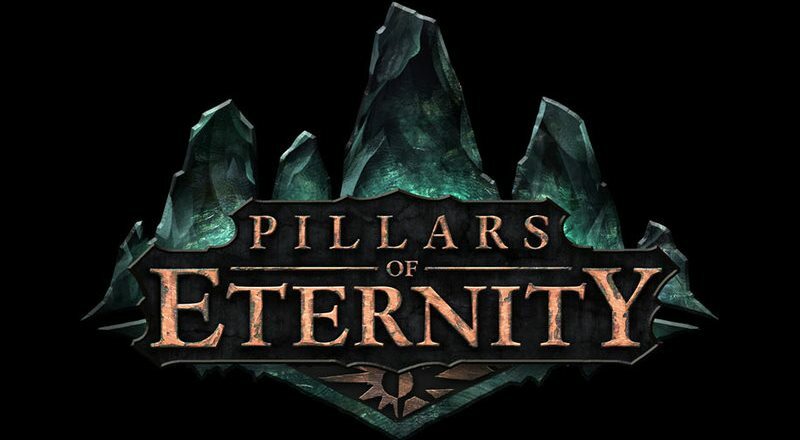 On June 17th, esteemed community member Sensuki sent a number of miscellaneous questions to Obsidian Entertainment's Josh Sawyer, project lead on the upcoming fantasy RPG Pillars of Eternity. As you may know, a backer-exclusive beta of the game is coming next month already. Now that the work on the E3 presentation and the gameplay video has been finished, Josh got back to Sensuki with the answers. Sensuki has also added his comments to some of the replies, and incorporated a few of Sawyer's recent tumblr and forum posts into the interview where relevant. Have some snippets and then read it in full. In a recent interview with Norwegian gaming site gamer.no, Pillars of Eternity was stated to be "larger, yes, easily larger, than Icewind Dale. We're not quite up to Baldur's Gate 2 size, but it's close". 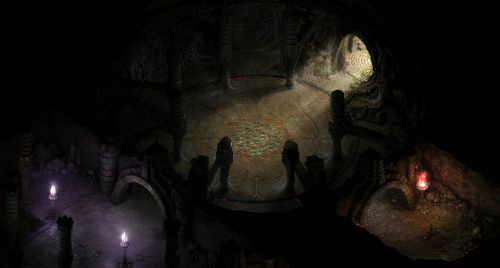 What elements of Pillars of Eternity are up there with Baldur's Gate 2 specifically? (e.g. Length of the crit path, Amount of optional content, Number of Exterior Areas, Quest Complexity, etc.) How would you say you've done regarding Wilderness area scope? Which in the stretch goal thread was slated to be "slightly larger than BG2". Number of overall areas is getting close to BG2. I think we now have over 150 maps with a healthy split between cities, dungeons, towns, and wilderness maps. I'm happy with the number of wilderness areas we have. I think there will be good content density in them and there are enough of them off the critical path that players will feel rewarded for exploring. Sensuki: For the record, BG2 has over 275 maps in the original game. I counted them the other week in Infinity Explorer. However, BG2 has stacks of tiny interiors such as houses or child areas of main dungeon levels, so the size of the game may well be getting close to BG2. The Stronghold update revealed that Pillars of Eternity would use an Act structure instead of a Chapter structure. The IE games used Chapters and generally had up to seven of them. An act structure is common in ARPG games because of Diablo 2, but I can't help but wonder if the use of Acts refers to literal acts in a story, such as a three-act or five-act story structure. Can you elaborate on the use of Acts instead of Chapters for PE? Eric [Fenstermaker] chose to use acts to consciously follow the classical (Aristotelean/Horatian) concepts of an act structure within a story. His feeling was that chapters do not have the same implications of dramatic progression that acts do. While Races will give players different bonus attributes, what kind of mechanical bonuses can players expect from choosing a Cultural Background in Pillars of Eternity? The only mechanical bonuses currently afforded by culture are attribute modifiers and class-based starting equipment sets. We are open to modestly expanding those bonuses based on feedback. Regarding encounter design, is there anything in Pillars of Eternity that rivals or surpasses the complexity of some of the encounters in Icewind Dale 2 (Orc Shamans beating War Drums to summon reinforcements, Goblins falling off Worgs)? Will there be pre-stealthed enemies? Are there any new scripting features that were built for PE that made things possible you couldn't do in the IE games? Honestly, I think it will take us a while to exceed the complexity of IWD2 fights. IWD2 and BG2 were built with a lot of tried-and-true scripting functions that programmers and designers developed over previous titles and expansions. Like any other feature, AI in PoE is being built from the ground up, so we have to add layers of complexity over time. Did any "C priority" features or assets make it into the game besides character/creature art? The full interview also discusses stances, talents, the combat idle, spell FX, the Gilded Vale location, and some other things. On June 17th, esteemed community member Sensuki sent a number of miscellaneous questions to Obsidian Entertainment's Josh Sawyer, project lead on the upcoming fantasy RPG Pillars of Eternity. As you may know, a backer-exclusive beta of the game is coming next month already. Now that the work on the E3 presentation and the gameplay video has been finished, Josh got back to Sensuki with the answers. A part of these cover things we already know at this point, but there is also some new information here that we didn't get from Josh's forum or blog posts or the recent videos. Sensuki has also added his comments to some of the replies, and incorporated a few of Sawyer's recent tumblr and forum posts into the interview where relevant. Sensuki: In a recent interview with Norwegian gaming site gamer.no, Pillars of Eternity was stated to be "larger, yes, easily larger, than Icewind Dale. We're not quite up to Baldur's Gate 2 size, but it's close". What elements of Pillars of Eternity are up there with Baldur's Gate 2 specifically? (e.g. Length of the crit path, Amount of optional content, Number of Exterior Areas, Quest Complexity, etc.) How would you say you've done regarding Wilderness area scope? Which in the stretch goal thread was slated to be "slightly larger than BG2". Gilded Vale is a faction and location included on the PE world map mock-up, but it is a location that we have heard nothing about. It looks to be a Trademeet-sized town or something. Can you give us any information on this game world location (such as a lore element or what type of location it is)? Talent Design has been something you have left for the latest stages of development. How is that coming along? Do you have any overall design principles for the design of Talents in PE? Talents are things that are not core to classes but can be used to flesh them out in different ways. Some Talents are class-specific and some are more-or-less class-neutral. An example of a class-neutral Talent would be Weapon Focus, which increases Accuracy with a group of weapons, or Hold the Line, which increases the character's Engagement Limit by 1. Examples of class-specific Talents include Powerful Sprint, which increases the speed of a barbarian's Wild Sprint, Critical Focus, which grants allies affected by a paladin's Zealous Focus a 5% Hit to Crit conversion rate, and Penetrating Blast, which grants DT penetration to a wizard's Blast ability. Fellow Australian and BG2 modder Liam Esler received a Fellowship from my state government to work on Pillars of Eternity for a few months. How was working with Liam and what contributions did he end up getting into the game? There are many Area Designers for Pillars of Eternity (more than many of the IE games going by the credits), many of which came across from the South Park team in January. How did you go about divvying up the responsibilities and area assignments? Did this new onset of designers get to design any locations themselves or were they put to work fleshing out already existing areas? Has having more designers for less time been more productive than having less designers for a longer period? The Spell FX direction in the IE games were very RTS-inspired. Effects were opaque, easily distinguishable from one another, fairly contained in size and clear visual feedback was given when a unit was affected by a spell (on the unit and UI). In contrast the FX shown for PE have been a little in the opposite direction edging towards modern flashiness, brightness and style. What is the intended art style for the FX in PE moving forward? Sensuki: If you look at games like Starcraft, Warcraft 2 or Total Annihilation: Kingdoms which were all late-90s RTS games, the Spell FX in Baldur's Gate are a very similar style to those in size, sensibility and detail which leads me to believe that BioWare's BG1 Spell FX design was inspired by those more than something like Diablo. The Spell FX direction for the following IE games seem to have built off the original formula. Characters in Baldur's Gate had a "ready" or "combat" stance/animation in between attacks where characters kind of "pulsed" and held their weapons up. Icewind Dale removed the fake attacks from the engine and along with it the combat stance resulting in characters looking idle in between actions. In the demonstrated videos, characters in Pillars of Eternity are also lacking a combat or ready stance in between attacks. Is such as stance planned for the recovery time between character actions? Will Monks get a different unarmed attack animation/stance like in BG2? * Stance - Refers to a way of holding a weapon (or weapons). A quarterstaff uses a different stance from a dagger. * Idle - This is the default animation that plays in any stance, whether in combat or not. It always loops and is the thing that other animations come out of and return to. * Fidget - These animations play occasionally when the character has been idle for too long. It could be the character simply stretching or looking around or it could be something more elaborate (like the knife-flipping in Fallout). Sensuki: We can see in the Gameplay video that characters do have a combat idle, but it's influenced by the IWD2 style combat idle, rather than the Baldur's Gate combat idle. Josh's comment on Steve adjusting the frequency of the combat fidgets should make characters look more active during their idle. The IE games all features some unique modelling for certain characters and creatures (Sarevok, Elminster, Irenicus, Arundel etc), and Planescape Torment even did it for the companions. Were unique models for plot-critical characters or companions used for PE? Sensuki: There are 32 colors available in the demo from the Gameplay video, which is four less than the IE games. My hope is that they add a few more. The PE demo that was demonstrated used the same shade of brown for character names in dialogue, rather than their major clothing color, in the IWD style. I have a question regarding Scripted Interactions. Is the PC always the character who "interacts" with the world through Scripted Interactions, or does it work for whichever character you have selected ? Also for group actions such as "Climb a cliff", "Swim through an underground tunnel" and "Jump over a Bridge", does the one character's check count as a pass for the whole party, or is each individual character's attribute or skill checked individually? Big thanks to Josh Sawyer for answering my questions, and also to Brandon Adler for organizing the interview.